Arnaud Lallement’s food is a real tribute to the region of Champagne. It promises everyday exceptional products and is distinguished by a perfect control of the acidity which offsets the sweetness of the product. 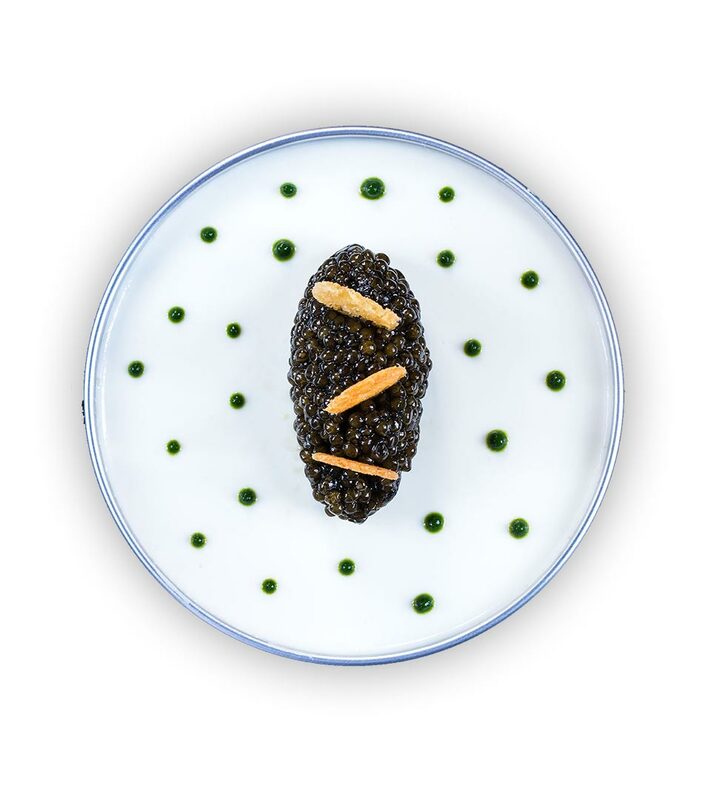 In the menu, we find timeless dishes revisited over the years by the Chef, such as the foie gras of champagne (a grated of foie gras served with a toast of foie gras) or the blue lobster (a recipe in homage to his dad). The menu, which evolves according to the seasons, also gives a good place to the novelties like the Bretagne sea urchin, the Breton turbot, the Mr. Laluc’s lamb, the Cour d’Armoise fattened chicken or the milk-fed veal sweetbread. There again, the superfluous has no place: titles are voluntarily sober to let the quintessence of the product speak. 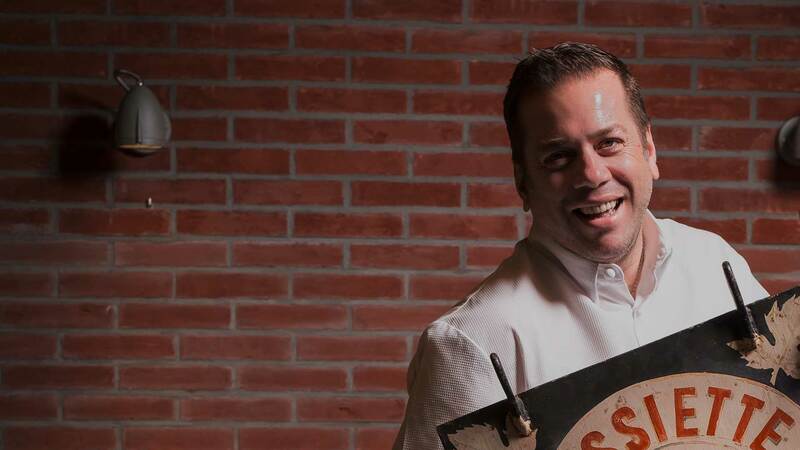 Arnaud Lallement always wanted to be a chef. From the earliest age, he would watch his father, Jean-Pierre, at the stoves in the kitchens of the family restaurant in Châlons-sur-Vesle. He it was who handed down to the young Arnaud all his passion and skill and who would guide his career. At 18, with a Diploma from the Strasbourg Hotel & Catering College in his pocket, Arnaud went off to learn his trade alongside the great names in French cuisine, like Roger Vergé, Chef of the legendary Moulin de Mougins, Michel Guérard, one of the longest-standing 3-star chefs in France, or Alain Chapel and his famous establishment in Mionnay. Arnaud Lallement is such a demanding cook that every dish was carefully thought, repeated, so his kitchen teams knows exactly what he wants. Over the years, he focus on the essential, purifies ingredients, finds the winning combination with an incredible hidden technique. His method concentrates on the essential: the taste. “Mangez vrai!” is his favorite motto. Every flavor is marked, with two major constants on which the Chef doesn’t compromise: work the most beautiful product and respect an adequate acidity to give the desire to repeat the experience. For this oenology lover, any dish can pair with a champagne: you just have to find the one that suits it. No less than 1000 references of Champagne are on the menu of L’Assiette Champenoise, with a beautiful range of major prestigious champagne houses and some more confidential productions. The wine has also the place of honor with 1,200 references, essentially Bourgogne, Languedoc and Vins de Loire. Arnaud joins his father, Jean-Pierre, who had been running the ‘Assiette Champenoise’ since 1975. Aranud takes over responsibility for the kitchens. The ‘Assiette’ obtained its second Michelin star and move up a gear. The Assiette Champenoise establishment entered the Association des Grandes Tables du Monde. the Gault & Millau guide recognised the ‘Assiette’, voted ‘Establishment of the Year’. The Assiette Champenoise establishment is awarded a fourth toque by the Gault et Millau guide. 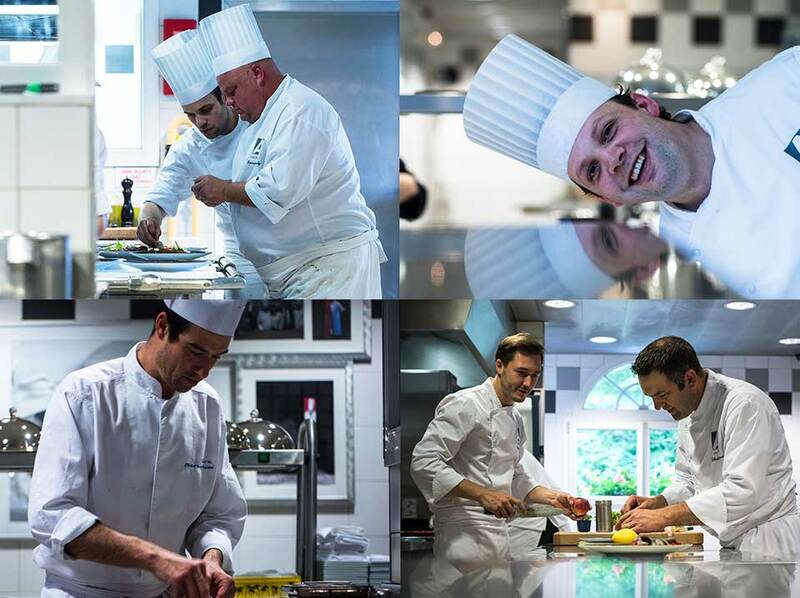 The Assiette Champenoise establishment is awarded a fifth toque by the Gault et Millau guide. Arnaud is awarded ‘Chef of the year 2014’. The ‘Assiette’ obtained its third Michelin star. Arnaud is voted "Chef of the year" by "Le Chef" magazine. 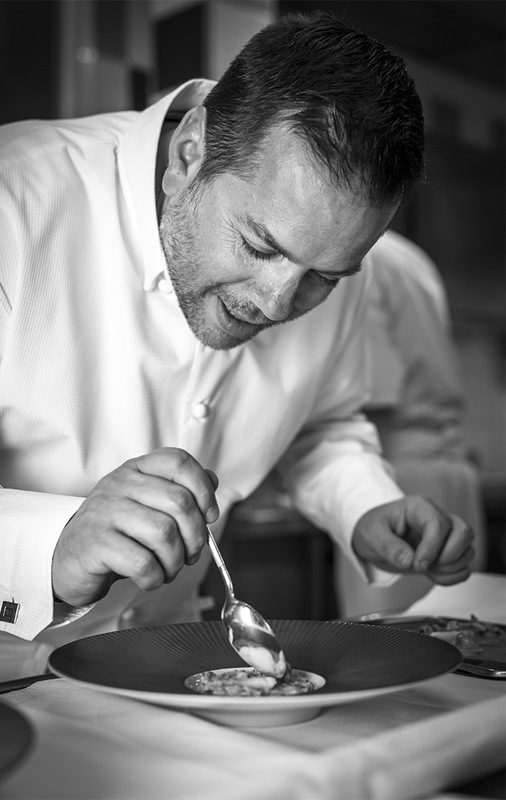 Arnaud obtains the grade of 19,5 / 20 by the Gault et Millau guide.